Glad they got this done before the mid-term elections! The House on Friday voted to permanently extend the individual rate cuts in the GOP’s $1.5 trillion tax-cut law as part of Republicans’ “Tax reform 2.0” effort, saying the cuts are needed to keep the economy humming in the future. 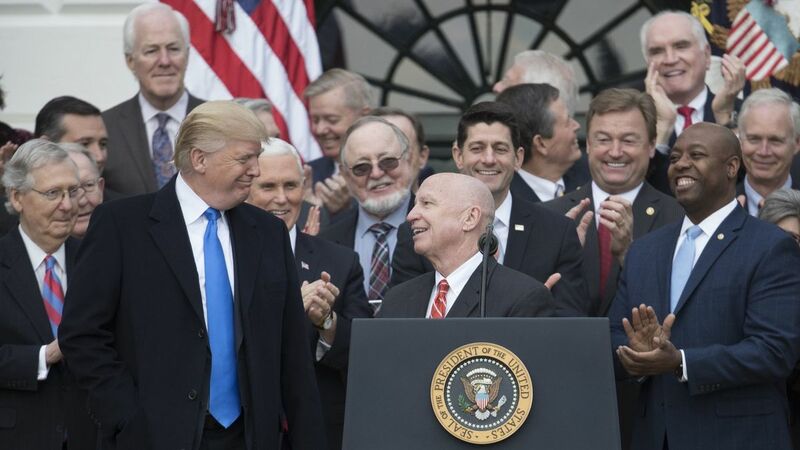 “By making the new code permanent for our families and small businesses, the [bill] will keep America’s economy booming and middle-class families growing again,” said Rep. Kevin Brady, the House’s top tax-writer. The vote was 220-191, mostly along party lines, with only a few Democrats backing the bill and about 10 Republicans voting against it. House Republicans are trying to highlight tax cuts and the booming economy as they prepare to head home to campaign, saying Democrats will seek to roll back the new rates right away if they re-take control of the House and/or the Senate. “You all know the Democrats’ agenda. They talk about raising the taxes. They would reverse the tax cuts that we provided to the American public,” House Majority Leader Kevin McCarthy said earlier this week. This entry was posted in Economy, Government, Politics. Bookmark the permalink.